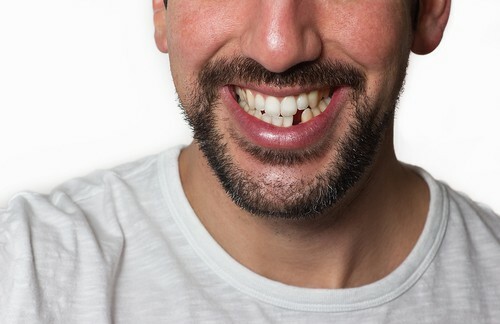 Your Chapel Hill dentist knows what it’s like to lose a tooth. Sometimes there’s a little pain. Sometimes you might feel embarrassed. Sometimes you’re just in the wrong place at the wrong time and then “smack” your tooth gets knocked out. Trust us when we say it happens (and it’s probably more than you think). What Are Some Common Tooth Replacement Options? We get excited about dentistry because there’s so much state-of-the-art, advanced technology available today to make getting the care you need more comfortable and less time-consuming. It’s important to call your dentist in Chapel Hill as soon as you lose a tooth. If you’ve been missing one (or a few) for a while, that’s ok, too! We’re here to help. One of the coolest, most innovative ways you can replace a missing tooth is to use a dental implant. How Can a Dental Implant Help Me? – A dental implant is a life-changing restoration that actually behaves like your missing tooth’s natural roots and functions just like a real tooth. It also helps keep your jaw bone healthy since it provides regular stimulation. Your dentist will first place the implant and then create a custom, tooth-colored crown that will be placed on top. The crown is shaded to look like your other teeth so nobody will even know it’s there. If taken care of properly, dental implants can last many years if not a lifetime. Sometimes a missing tooth or even multiple teeth can be easily fixed with something called a dental bridge. We can craft a custom restoration that blends seamlessly with your natural teeth and fills in the gaps all at the same time. How Can a Dental Bridge Help Me? – A dental bridge can help fill gaps left behind by a missing tooth or teeth to give you a full smile. Bridges are usually made from two or more crowns that again are shaded to match your natural look. The restoration is then anchored to nearby teeth to hold them in place. Essentially, the dental bridge is bridging the gap. Sometimes bridges can be supported by dental implants depending on your individual case and desire. If you’re missing multiple teeth, there might be some benefit to you speaking to us about dentures. They can be expertly crafted to fit your mouth and take years off of your appearance. How Can Dentures Help Me? – Dentures can be used to replace both upper and lower missing teeth. They’re created to be aesthetically and naturally pleasing, so no one will even know they’re not your real teeth. There are plenty of options to choose from, so it’s important to learn about your options and pick what works best for you and your busy lifestyle. We understand what it’s like to be missing a tooth or several teeth. There are options that can help. Call our dental office in Chapel Hill to schedule a consultation and together, we can create a plan for your treatment that works for your budget, your schedule, and your smile.